In today’s fast-paced and ever-evolving society, there are many factors that may have a negative effect on your mental health. These include hectic work schedules, a busy family life, natural disasters, and life-changing events, and ever increasing exposure to screen time, among others. The natural aging process also influences mental changes, such as decreased mental functioning and slower processing speed (although certain lifestyle habits can help delay or prevent these types of age-related changes in mental abilities from occurring). In this article, we will explore some of the most essential and beneficial strategies for maintaining your mental health. A new and rapidly-developing field called “Nutritional Psychiatry” emphasizes the important role that nutrition plays in sustaining optimal mental health. Research shows that individuals whose diets consist of healthier foods are less likely to experience psychiatric symptoms or mental disorders (e.g. anxiety, depression, dementia). This healthy diet includes food such as lean meats, whole grains, low-fat dairy, fruit, vegetables, legumes, olive oil, and fish. In contrast, people who eat more processed foods (such as chips, hamburgers, pizza, white bread, flavored beverages, beer, etc.) have a higher risk of experiencing mental health problem. Eating processed foods is associated with increased concentrations of inflammatory substances that can damage cells throughout the body – and brain. In other words, the same types of foods that are linked to conditions such as heart disease, diabetes, and cancer may also impair your mental health. A consistent diet of processed food is associated with high levels of C-reactive protein (CRP): a marker of inflammation. Increased CRP levels are generally observed in the brains of individuals who have Alzheimer’s disease. High levels of this protein have been found to increase the risk of developing dementia as well. Healthy food such as legumes and fish contain omega-3 fatty acids that have active components which disrupt the activity of inflammatory substances that can damage brain cells. Research indicates that a nutrient-rich diet supports optimal mental clarity, focus, performance, memory function, and a heightened mood. Exercise is as essential as proper nutrition. Regular physical activity has proven to be beneficial toward enhancing memory function while reducing anxiety and depression. In particular, exercising releases mood-, mental performance-, and energy-enhancing neurotransmitters (chemicals in the brain) such as adrenaline and dopamine, as well as endorphins, which are mood-enhancing hormones. This process supports enhanced mental health. Heightened levels of these neurotransmitters and endorphins improve the body’s ability to maintain mental stability in response to emotional distress that may be experienced during future incidents. Exercise has a sustained effect on anxiety levels and mood. This helps individuals who exercise on a regular basis display more emotional stability and enhanced mental resilience to intense situations. Kids playing sports regularly show more resilience against stressful events. The same degree of mental composure is not always observed in people who are not physically active. As little as thirty minutes of daily exercise provides these types of benefits toward your mental health. When you believe that self monitored measures are not adequate, it is time to see a professional. The world of medications and therapy has developed over many decades although some individuals either do not like the side effects of the medications or do not find them helpful. Talk therapy can be significantly helpful for many individuals. Now there are various smartphone apps that help addressing anxiety, insomnia, and other mental health symptoms. Epidemiological studies show that about one third of people with depression do not respond to several trials of medications and therapy. For them, other non medication interventions such deep Transcranial Magnetic Stimulation (dTMS) can be beneficial. dTMS involves use of magnetic pulses to stimulate neurons in the brain. This type of deep stimulation helps target psychiatric symptoms such as depression, as well as cognitive impairments such as memory problems, language issues, and decreased processing speed. It even targets mental difficulties that are associated with Alzheimer’s disease. Clinical research shows that dTMS reduces psychiatric symptoms in many neuropsychiatric conditions. There are different types of transcranial magnetic stimulation protocols, but dTMSis well tolerated and has improved efficacy with treatment resistant depression and OCD. Shorter duration of the sessionis also an added benefit, especially for people who have busy schedules. A session lasts for about 20 minutes, which allows people to return to their daily activities with little delay. It is an FDA approved procedure backed by multiple clinical trials. The key to maintaining your health is incorporating healthy habits into your lifestyle. Remember,habits that can have a negative effect on your physical health can also disrupt your mental health. A nutritious diet nourishes both your body and mind, and regular exercise releases natural substances that further enhance mental health. 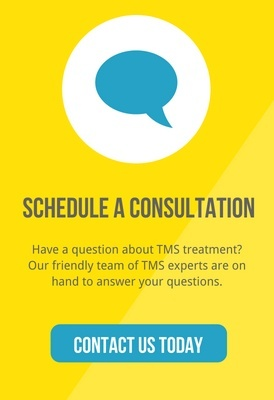 If needed, seek professional help to see if you can benefit from technologically advanced treatments with deep TMS. It is necessary that you approach your health in holistic manner and implement lifestyle changes that improve your physical and mental health because one is incomplete without other.